On this 150th Celebration of Canada, we remember a remarkably dynamic couple, Phil and Jen (nee Sandin) Gaglardi. Jen with her co-worker Laurene Schneider (Drury) started the 80-year old Christian Life Assembly (CLA) megachurch in 1937 with street meetings in front of Fullers Meat Market in Langley. Jen played guitar while Laurene led the singing with her accordion. Jen’s favorite scripture which she quoted at every street meeting was ‘Seek ye the Lord while he may be found. Call upon Him while he is near.’ They invited onlookers to evening meetings at a rented Sunday School hall. Initially no one turned up. Finally one or two would join them. Eventually many more would follow. Eleanor Mark, their first convert, said “The Lord honours small beginnings that have been watered with tears, much hard work, and faithfulness.” Claude Adams, who played his accordion at the street meetings, said that ‘you couldn’t say no to Jennie’. A major breakthrough for CLA occurred in 1942 when the Gaglardis brought in Dr. Charles Price for a series of meetings, described by Dr. Price as ‘the most outstanding he had ever seen in all of his ministry throughout the world’. Phil and Jennie Gaglardi went on in 1943 to pastor a booming congregation in Kamloops. Jennie’s cofounder Laurene and her husband Bill Drury became the second-generation Pastoral Couple at CLA. Phil Gaglardi was elected as a Kamloops MLA in 1962, serving for twenty years as the Minister of Highways. He miraculously spent five days a week at the Legislature while still leading a thriving congregation two days a week. Phil established the BC Ferry Service, the Deas Island Tunnel, and the Rogers Pass. Gaglardi Way, a major thoroughfare in Burnaby, British Columbia connecting the Trans-Canada Highway to Simon Fraser University, is named for him. In his rushing back between Victoria and Kamloops by car and plane, he became known as Flying Phil, perhaps because of a number of speeding tickets. Jennie had an amazing gift of ministering to children, birthing burgeoning Sunday Schools in both Langley and Kamloops, with a fleet of eleven buses to pick up 9000 children, the largest in Canada at the time. Phil, while pouring more blacktop than any other politician in the world, also managed to help plant new churches throughout the province. He ironically said: “If there are two things I hate in life, it is a minister of the gospel and a politician, and I ended up being both.” Whatever Phil did in church life or politics, he did it fast and got t he job done. Phil and Jen never let the naysayers stop them. Phil saw his duty to keep the highways “in such shape that motorists will avoid the language which would deny them access to the highway to heaven.” What an amazing team that Phil and Jen were! May they inspire us to fly to the altar of revival. Categories: 150th Anniversary, Gaglardi, Phil Gaglardi, politics, Uncategorized | Tags: Canada, Christian Life Assembly, CLA, Dr Charles Price, Flying Phil, Jennie Gaglardi, Jennie Sandlin, Kamloops, Langley, Missions, PAOC, pentecostal, prayer, revival, WAC Bennett | Permalink. Does prayer still have a future in Canada? At the 50th BC Leadership Prayer Breakfast, Dr. Angus Reid the keynote speaker gave us the latest Angus Reid Institute results from polling 1500 Canadians on prayer. Held at the Vancouver Hyatt Regency, dignitaries like our former Premier Christie Clark and former Vancouver Mayor Gregor Robertson brought greetings to over 1,000 BC leaders. Angus Reid, a well-known Canadian pollster, informed us that while weekly church attendance has dropped from 56% in 1966 to 15%, 85% of Canadians still pray, at least occasionally. Reid found that weekly prayer by 40% of Canadians (12 million people) has remained relatively constant over the past century. 70% of Canadians who pray frequently say that their prayers are answered always or often, in contrast to just 25% of Canadians who pray infrequently. Frequent pray-ers, said Reid, focus more on thanksgiving than in just asking for help. Contrary to some snobbish stereotypes, he also found that university-educated Canadians (33%) are more likely to pray daily than high school dropouts (26%). Reid’s data showed that new immigrants are twice as likely to be frequently prayers as native-born Canadians. This confirms my experience that new immigrants are much more open to the gospel and attending church than often jaded Canadians who come from a Christian heritage. 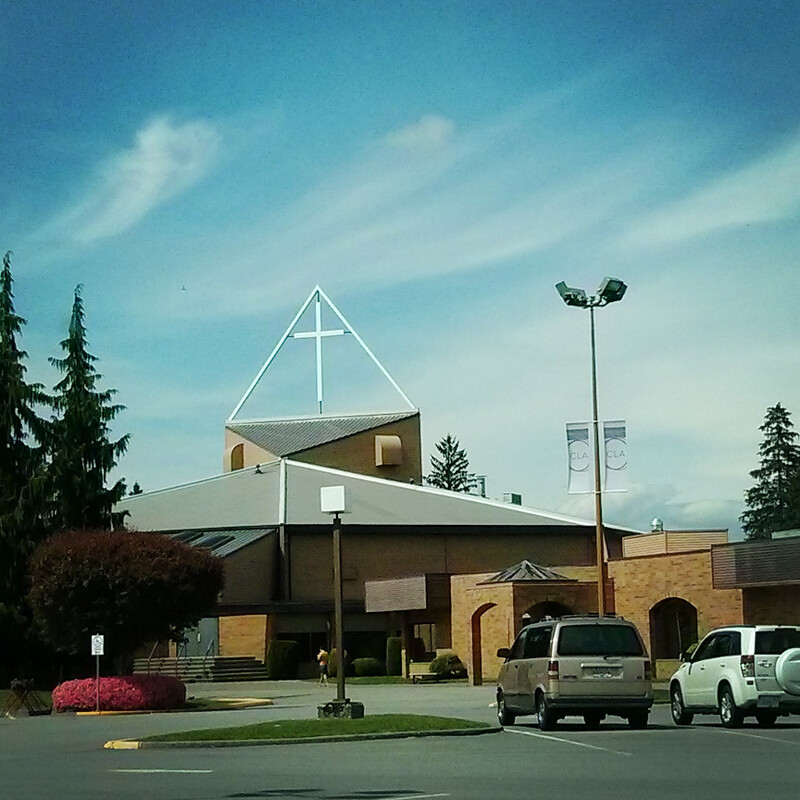 It is no wonder that, according to Jonathan Bird of the Vancouver Consultation, one third of Vancouver churches conduct their worship in languages other than English. Of particular interest was Reid’s discovery that childhood prayer greatly shapes one’s likeliness for praying as an adult: “If you prayed frequently as a child, the chance that you would be a non-prayer today is 7 percent (i.e 93% would be praying adults). If you didn’t pray as a child, the odds that you would be a frequent prayer today is 6 percent (i.e. 94% would be non-praying adults). This reminds me as to how faith survived in Russia during the seventy years of atheistic communism. The key was grandparents who taught their grandchildren how to pray even when their children were officially forbidden to attend Sunday School. Many Canadian parents have bought into the tragic idea that it is better to not expose children to religion or church until they are adults, when they can ‘make up their own mind’. Even though I did not meet Jesus until age 17, I was blessed to be taught to pray as a child by my mom, as well as in Sunday School. Prayer was something that I linked with remembering one’s family before going to sleep, and in saying grace at the dining room table when my nana came to visit. Imagine how we might shape the future of Canada if we invested in helping the new generation learn how to pray. If we will prayerfully strengthen the new generation, then prayer will have a Canadian future. Lord, teach us to pray. Categories: Uncategorized | Tags: angus reid, BC, BC Leadership Prayer Breakfast, Canada, children, Church Attendance, communism, future, Jonathan Bird, leadership, Mayor Gregor Robertson, new generation, prayer, Premier Christie Clark, Russia, Sunday School, Vancouver Consultation | Permalink. 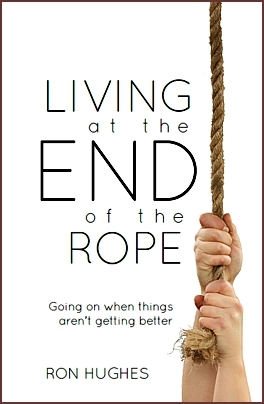 at the End of the Rope is all about going on when things aren’t getting better. You are encouraged to check out the details (and a gripping free sample chapter) on his website. If you are struggling with a painful relationship, this book will give you hope. Categories: Uncategorized | Tags: Canada, Living at the End of the Rope, Ron Hughes, The Word Guild | Permalink. 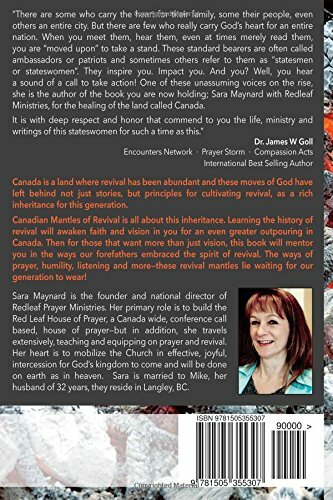 The book Canadian Mantles of Revival is both a challenging and hopeful book. It reminds us that revival is nothing new in Canadian history. We often do not know our own history. Canadians and others would benefit from learning about Henry Alline, Phoebe Hamilton, Hunter and Crossley, Charles Price, each of which have a chapter in the book. Reading the book convicted me to more deeply appreciate how central prayer and repentance will be in the coming Canadian revival. If only we as Canadians would take this book to heart, the coming Canadian revival would not tarry. Do we want revival badly enough to take to heart the Lenten disciplines of prayer, fasting, self-examination, repentance, bible-reading, and generosity to the poor? 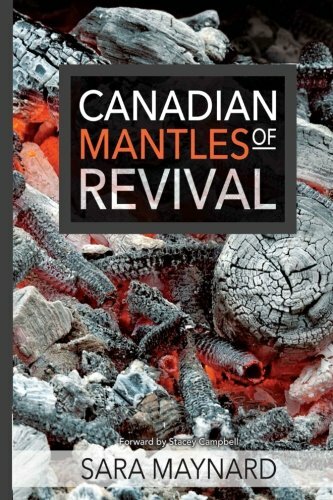 I believe that revival is coming to Canada. May we co-operate with God in His desire to quicken his people in Canada. Categories: Uncategorized | Tags: Canada, Charles Price, conviction, Henry Alline, Hunter and Crossley, intercession, Phoebe Hamilton, prayer, repentance, revival, Sara Maynard | Permalink. I found this book by my good friend and colleague Rev. 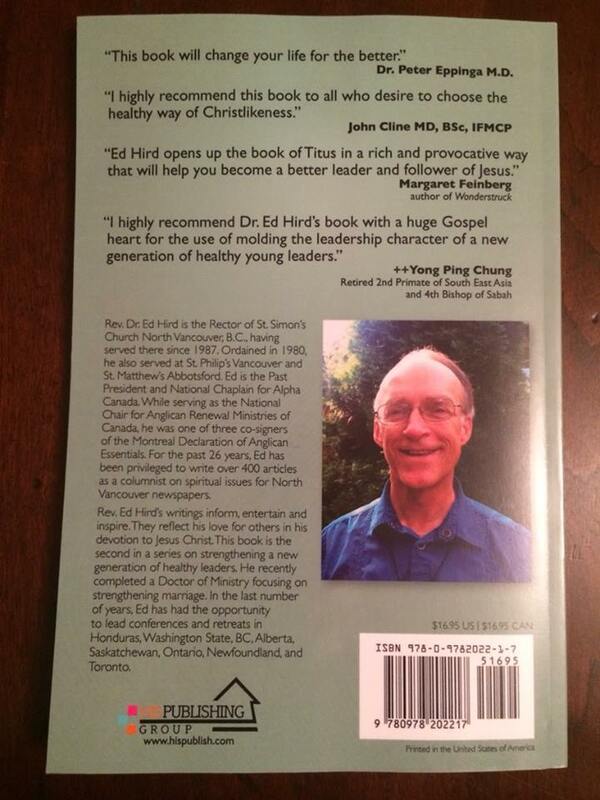 Dr. Ed Hird to be challenging, informative, encouraging and uplifting all at the same time. 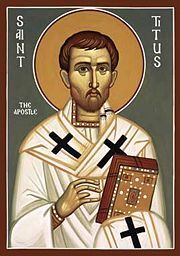 I have read Paul`s letter to Titus, along with commentaries on Titus many times over my 32 plus years in Ordained Ministry. One of the things which stuck with me this time was that the people on the island of Crete were Pirates. I knew they were lazy, gluttons and drunkards and even though I knew these were all characteristics of pirates the two things had not fully registered. As I have read what Ed has had to say about the Cretans being pirates, challenged me when he related that to people in North America being pirates. This led me to do a lot of soul searching and re-examining both my life and the life styles of my fellow Canadians and North Americans to see what truth there was in this bold statement. I have seen confirmation after confirmation of how not only are we as people in Canada and in fact North America are pirates, but that also I can relate where I can apply that term to myself as well. How often do we steal time from our employers, our family or from other people through laziness and procrastination? I find myself invigorated through reading and meditating upon what Ed has shared not only about Titus, but also about his own life and ministry. I have been reminded of things which through our friendship over many years have been an encouragement to me in the fulfillment of the ministry to which Jesus has called me to boldly proclaim the Good News of Salvation to our local communities today. I heartily recommend Ed`s latest book to all who are called into any aspect of leadership in the Church of Our Lord Jesus Christ whether lay or ordained. By sinking your teeth into the meat of material in this book you will be encouraged and further equipped for the work of ministry to which Jesus has called you by the power of the Holy Spirit. If you are a seeker, you will find humour entwined with solid teaching which will draw you to a Saviour who loves you and died for you that you might receive the greatest gift of all, the gift of new life. Categories: Uncategorized | Tags: Canada, Crete, health, North America, Pirates, Restoring Health, Titus | Permalink. I had no idea how powerfully God was going to use the 1998 Pre-Lambeth Leadership Conference. Most of us as North American Anglicans were still stuck in the ‘inside strategy’ mindset. Being conflict-avoiders, we were going to ‘fix’ the North American Anglican churches while still inside the old institution. This virus of institutionalism can slip inside the mind of even the most sincere believer, turning us toxic. It is so easy to become the hollow, stuffed men of TS Eliot’s poem: “We are the hollow men. We are the stuffed men Leaning together…”[iv] We Canadians were still quite ‘gung-ho’ at the Canterbury Leadership Conference, but the Americans were unusually quiet. They lacked their usual American ‘get-up-and-go’ attitude. When Americans go quiet, you can tell that something is up. Hundreds of African bishops and clergy spontaneously flocked forward and hugged the Americans, weeping and declaring God’s forgiveness. Todd Wetzel of Anglicans United said that ‘this was one of the American Church’s finest moments in decades.’ This prophetic action of repentance and forgiveness was a new beginning for Anglican Christians around the world. I am convinced that we are not to despise prophecy, and that the prophetic gift is still in operation today. Prophecy does not just address the global picture. It can also address our personal situations, even regarding writing a book. Through prayer, I have received very clear direction about the topic of this current book. 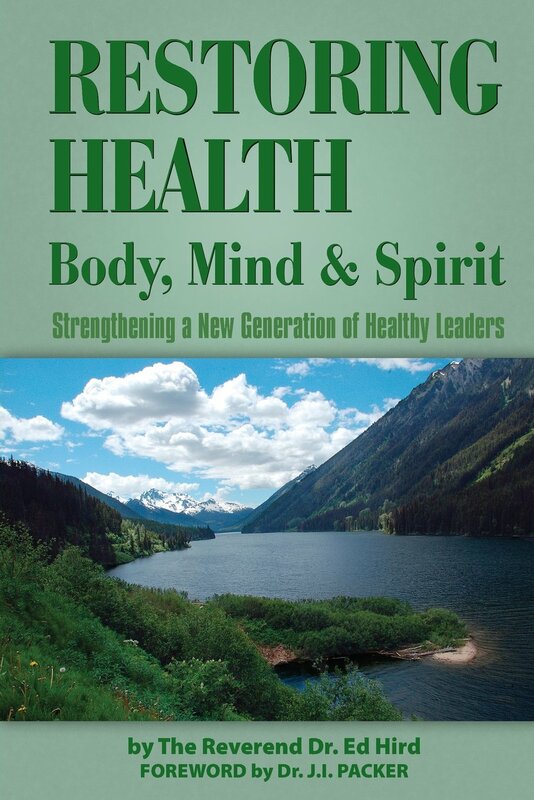 [vii] Pushing through our toxic stuckness is key to restoring health, and key to strengthening a new generation of healthy leaders. The purpose of prophecy is to encourage, build, and strengthen. [viii] Yes, all prophecies have to be tested. As children of the New Covenant, we only prophesy in part. [ix] Prophecies help me push through my ‘what ifs’ and ‘if onlys’. In the 21stcentury, a sensitive use of the gifts of prophecy and exhortation will be essential to getting unstuck, to becoming a healthier and more Christlike leader. As Paul said to Timothy, by following prophecies made about us, we leaders more effectively ‘fight the good fight’ and live out our daily lives. [x] Out of these prophetic encounters, I have become convinced that North America desperately needs to recover from its toxicity, and that the key to restoring its health is found in strengthening a new generation of holistically healthy leaders, as illustrated in the person of Titus. [ii] This Pre-Lambeth Leadership Conference was jointly sponsored by Anglican Renewal Ministries/ARM and SOMA/Sharing of Ministries Abroad. I was serving as the Chair of ARM Canada. [ix] 1st Thessalonians 5: 19-21: Do not put out the Spirit’s fire; do not treat prophecies with contempt. Test everything. Hold on to the good. Avoid every kind of evil. ; 1 Corinthians 13:9. Categories: Uncategorized | Tags: 1998 Pre-Lambeth Leadership Conference, African, Anglican, animism, apprenticeship, Bishop Alex Dickson, Bishop Dr. John Rodgers, Bishop John Spong, Canada, Canadians, England, finishing line, global, God's rest, God's Word, healthy leaders, immobilized, Insittutionalism, Kingdom, Leadership Conference, new generation, North America, perfectionism, prophecy, Rev Freda Murray, Stuck, Timothy, Titus, Todd Wetzel, University of Kent, witchcraft | Permalink. Categories: Uncategorized | Tags: Battle for the Soul of Canada, Canada, Crete, Dave Carson, Ed Hird, health, JI Packer, North America, Paul, Pirates, Restore, Timothy, Titus, USA | Permalink.